Kendallville and Carroll Road Clinics Open! 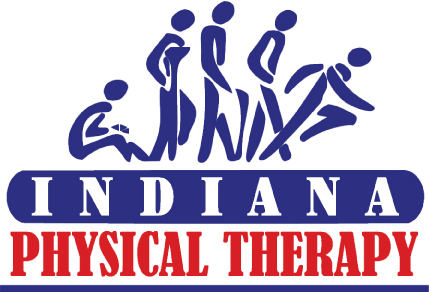 Indiana Physical Therapy (IPT) is pleased to announce our newest regional clinic in Kendallville at 860 North Lima Road, as well as our newest Fort Wayne clinic at 1675 Carroll Road. Both clinics recently opened on June 1, 2015 and put IPT at 14 clinics across northeast Indiana. The approximately 3,700 square foot Kendallville clinic will be easily accessible for patients and is conveniently located at the corner of Lima Road and W North Street. Andrew Misner, PT, DPT, ATC, has been promoted to Senior Therapist at our Kendallville clinic. Misner grew up in Fort Wayne and graduated from Leo High School. He received a bachelor degree in Athletic Training from Ball State University. Following Misner’s time at Ball State, he received his Doctorate of Physical Therapy from Indiana University. Since receiving his DPT, Misner has become a Certified Orthopedic Manual Therapist and certified to perform FCE’s as well. Misner originally became a physical therapist because he enjoyed working with athletes, but since practicing for several years he has enjoyed providing physical therapy to everyone with the need for it. The approximately 4,200 square foot Carroll Road clinic will be easily accessible for patients and is conveniently located on the northwest side of Fort Wayne at the corner of Carroll Road and Lima Road. Mary Hostetter, PT, DPT, COMT, ATC, has been promoted to Senior Therapist at our Carroll Road clinic. Hostetter graduated from the University of Indianapolis with a Bachelor of Science in Athletic Training then went on to achieve her Doctorate in Physical Therapy. Mary has experience working in both inpatient and outpatient settings, orthopedics, neurological disorders, and acute burns. Mary has extensive experience in outpatient rehabilitation with a focus on manual and manipulative therapy in the athletic setting. Mary also has several certifications including: Graston, Pre and Post Offer Exams, Functional Movement Screen, and Functional Capacity Exams. Through extensive Maitland Australian training, Mary achieved her certification in orthopedic manual therapy making her well suited to rehabilitate all musculoskeletal injuries. Mary made her decision to enter into the field of physical therapy due to her passion for treating and educating patients on how to improve their quality of life. IPT, your choice for physical therapy and athletic training, the premier independent provider of outpatient rehabilitation services in northern Indiana has experienced significant growth and expansion since being founded in 1988 and has grown to fifteen locations including eight in Fort Wayne and one each in Angola, Auburn, Bluffton, Huntington, Kendallville, New Haven, and Warsaw. Our Industrial and Athletic Training divisions also provide therapy service options. IPT is open from 7am to 7pm Monday through Thursday and 7am to 6pm on Fridays. For questions or to schedule an appointment, call our central scheduling line at 260-209-2464 or visit indianapt.com.